﻿ Which inverter is best for PV Plant? HomeFAQWhich inverter is best for PV Plant? 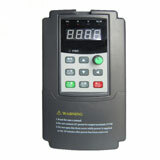 Which inverter is best is a matter of application, cost, ROI and experience. The short answer is, "It depends." What problem are you trying to solve with your plant? This is a very important question that will lead to which inverter is best for your application. Each type of inverter has its own pros and cons. Typically, string inverters are for "small" installs and centrals for "larger" installs but those lines are being blurred all the time. Central inverters seem to scale for the solar farms but maintenance costs are a big factor for them. String inverters are easily replaced but typically cost more to install many of them instead of one big central inverter- however, even those lines are blurred as well. For example, a two megawatt plant using 4 SMA 500CP inverters would cost about the same as using 118 Sunny TriPower 17kW inverters. Cost is always a fluctuating factor so I qualify this scenario, which is happening not only in Europe but also in the US. 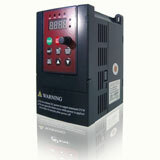 While the costs might be close, the string inverters have a real advantage when it comes to maintenance and repair. String inverters do not need service contracts and spares can be kept on site and replaced by personnel who do not need extensive training in Central inverter systems. This is where the savings comes into play for distributed generation. In the PV business Sting Inverters make totally sense for example for roof top and car pool applications because there are lighter and smaller. You can normally install those inverters without large tools like a crane or something like that.